When will be DuckTales next episode air date? Is DuckTales renewed or cancelled? Where to countdown DuckTales air dates? Is DuckTales worth watching? The series of DuckTales first aired on September 18, 1987. Disney broadcasted 65 episodes over a 13-week period. The first five episodes opened with Donald Duck enlisting in the Navy, leaving his three nephews, Huey, Dewey and Louie with his Uncle Scrooge. At first Scrooge wasn't happy with his nephews, until they managed to prove their worth by preventing the Beagle Boys from robbing Scrooge. The series followed the first five episodes with 60 episodes including treasure hunts, thief-foilings, and general humourous adventuring strongly reminiscent of Barks's work. 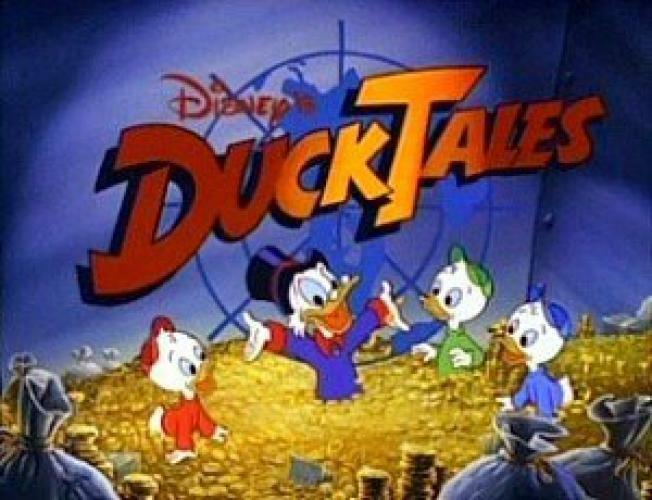 DuckTales was such a hit, that series two, a further 35 new episodes were produced in 1990. DuckTales had reached a 100 episodes, a first for Disney and a feature length film released to the cinemas in 1990 titled, Treasure of the Lost Lamp. DuckTales was originally planned for a TV Special only, but after the story had been written the producer was so impressed a 65 episode season was commissioned. EpisoDate.com is your TV show guide to Countdown DuckTales Episode Air Dates and to stay in touch with DuckTales next episode Air Date and your others favorite TV Shows. Add the shows you like to a "Watchlist" and let the site take it from there.